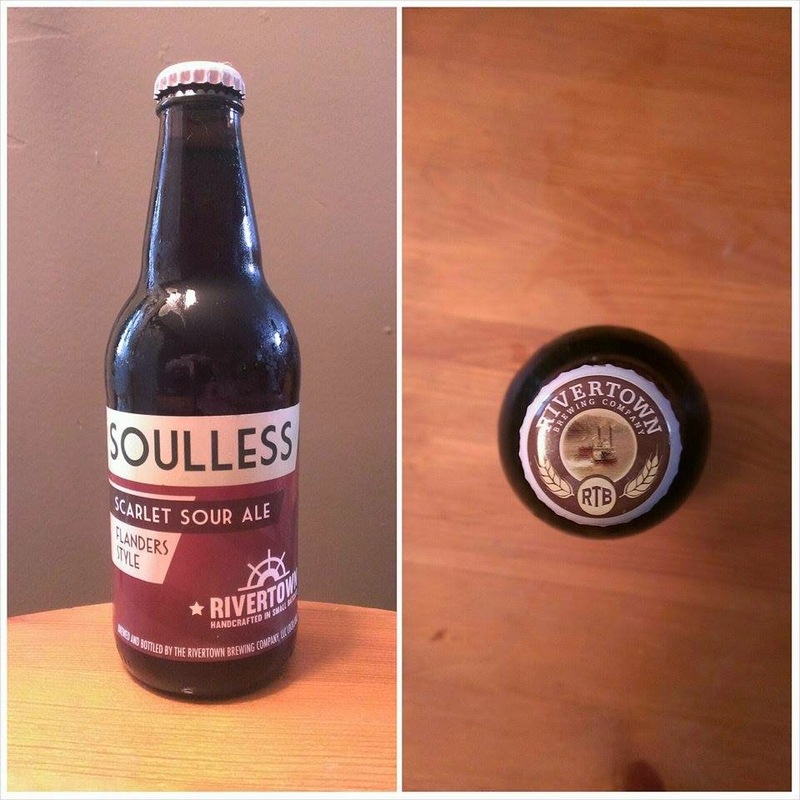 Rivertown Brewing Company has a chance to re-win my heart with their Soulless Scarlet Sour Ale.Will they succeed? The answer will come in due time, my friends. Since the first time I heard about sour beers I've viewed them as some sort of mythic oddity. This is probably because they don't seem to be as popular in Ohio as they are elsewhere. I didn't even know what a sour beer was until nearly two years ago when my friend who had, at the time, recently relocated to Austin, Texas recommended I try one as soon as the opportunity presented itself. He said that he'd really gotten into them since he moved down south and that, although a little pricier than typical brews, they were really good. I seem to recall asking why they were so good. What made them they stand out? "I don't know," my friend said. "They're just beers that are sour." At the time when that of that conversation neither I nor the majority of my friends had what I'd be hard pressed to even call a working beer description vocabulary ("good," "strong," and "dark" were about the extent of the words we used to discuss beer). Nevertheless, my buddy's assessment of sour ales, albeit short, was true. They are, in fact, beers that are sour. The opportunity to try a one finally present itself a week ago when I visited Asheville, North Carolina with a friend who isn't the one I mentioned above. The brew I tried came from Wicked Weed Brewing (check out my Facebook page to see what I think of one of WW's brews). It was incredibly sour and vaguely reminded me of an overpowered Angry Orchard Crisp Apple. I tried the brew under the guise of a participant on an Asheville brewery tour. The tour guide said that sour ales become sour by being brewed in open containers and allowing bacteria to come into contact with the beer as it ferments and brews, thereby giving it a sour taste. He seemed to be really knowledgable about beer so I took, and will continue to take, him at his word. 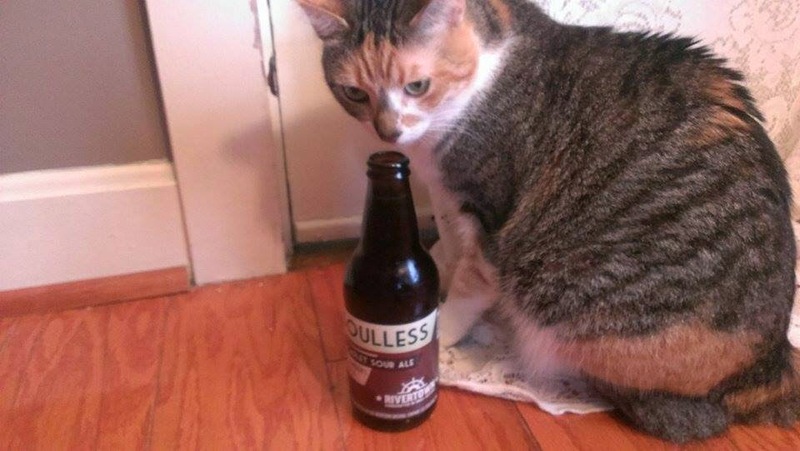 RBC's Soulless falls in line with the sour beer I tried a week ago. The aroma of the brew alone made me wrinkle my face at its sourness. The aroma piqued Purrl's interest. 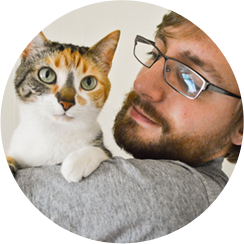 She gave it 6 sniffs, disproving my now-defunct hypothesis that she dislikes sour smells. 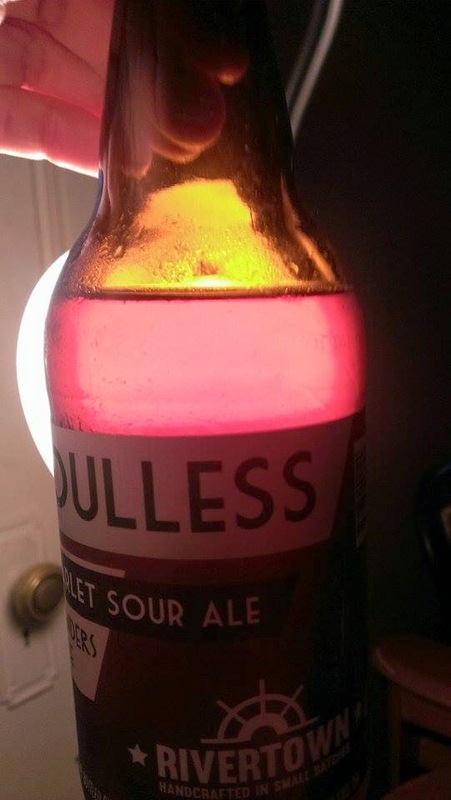 Soulless Scarlet Sour Ale's flavor is true to its name. The first taste is reminiscent of a tart red wine. Further investigation into the ale dredges up a slight nuttiness. RBC's beer page states that Soulless has "...velvety, sweet notes of toffee and caramel paired with a provocative lactic finish all wrapped up in a racy, estery bow. My unrefined sour pallet picks up on none of that. You know how sour candy leaves your mouth kind of raw feeling? Soulless does the same. That's the mouthfeel of this brew. I don't normally discuss body (because I drink beer directly from bottles/cans) but the ale is called "Scarlet" for a reason. It's so red it can bee seen through the bottle. One of my first nights out drinking was at an Athens bar called the Smiling Skull Saloon. Upon realizing we could get alcohol there my buddies and I went hog-wild. One of us bought a tiny bottle of merlot and passed it around. It was bitter and we laughed at the faces we made when we tried it (it also had a weird butteriness to it, but that doesn't add anything to the story at hand). RBC's Soulless Scarlet Sour Ale reminds me of the good times I had that night that I've never really been able to replicate. Thanks, sincerely, RBC. Rivertown Brewing Company won me over anew with this brew. At 5.4% ABV it feels like its exactly as strong as it should be. Soulless earns a solid 8.0. When I'm more well-versed in sour beers I'll try it again and see how that number holds up. There was an RBC Old Sour Cherry Porter hanging around where I picked my Soulless up and I'm sure to give that a try soon, so look forward to it if you want.